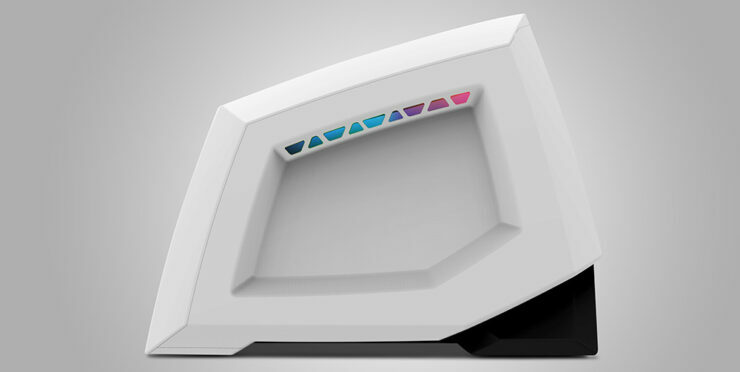 iBuyPower has just announced their latest entry to their Revolt series of gaming PCs, the Revolt 2. 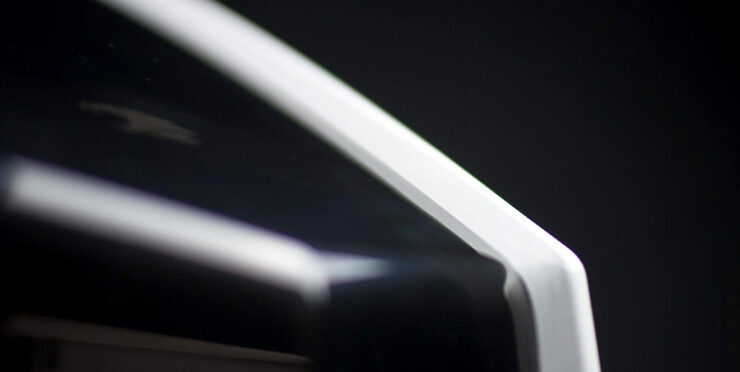 The Revolt 2 features a surprising new design scheme that looks like something straight out from the future and unlike the previous Revolt PC, the latest chassis can incorporate ATX-sized hardware components to deliver the absolute best performance for gaming. The Revolt 2 has a design that stands out from the rest of the offerings in the Mini PCs market. 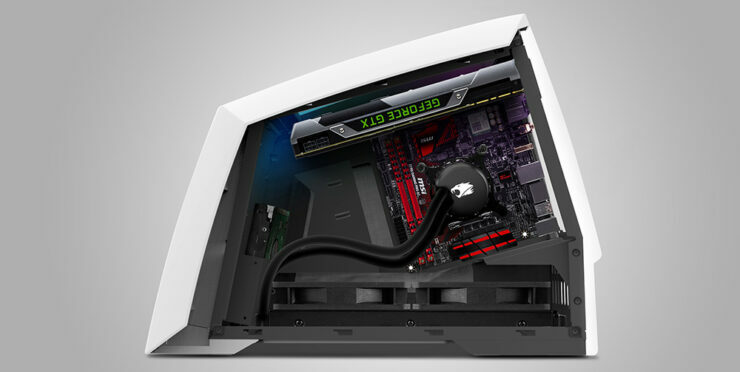 The gaming PC is definitely built for small form factor audiences but can take on full-sized components with ease. This is done to ensure the best possible performance out of the limited space that is available in small gaming PCs. With the Revolt 2, users have the freedom to select from their choice of components and build up a small yet fast gaming PC that rivals ATX sized builds. Design is one thing about the Revolt 2, it’s not only small, it’s elegant too. iBuyPower has designed the Revolt 2 to support any ITX motherboard. There are a lot of options to choose from these days as ITX market picked up the pace over the last few years. For graphics, you can equip any 2-slot graphics card in the Revolt 2, whether that be air cooler or attached to an AIO liquid cooler. 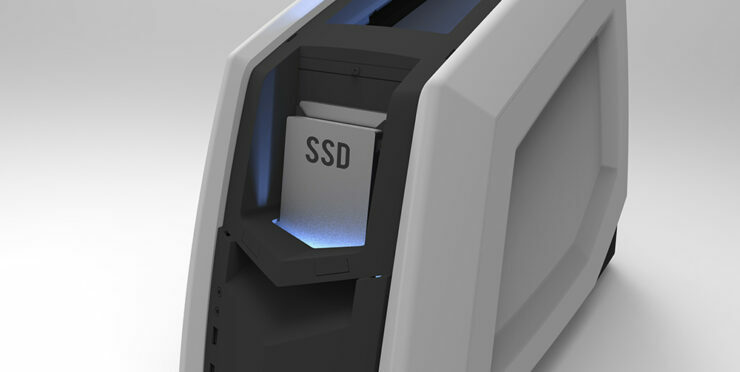 The casing can even house a variety of storage drives that could include two 2.5″ SSDs and a 3.5″ HDD (This space can also be used for a third SSD). As for PSU, the system has been designed to house full, ATX standard PSUs that is a big plus for a gaming case that is so small. The PSU is attached in the vertical slot next to the board. 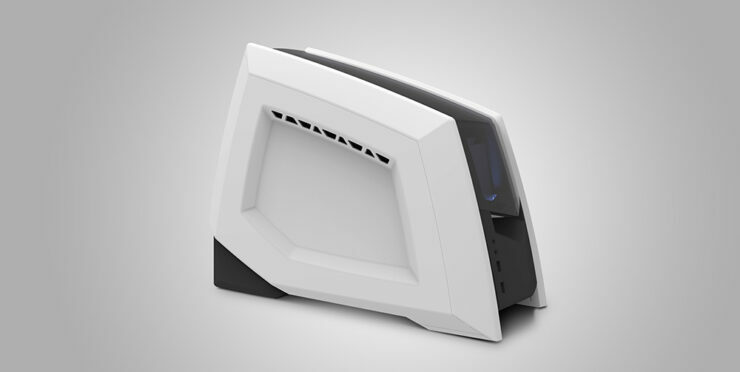 The case has room for upto 280mm radiator for cooling. You can can choose whether you want a single big CPU cooler or go for dual 120mm radiators for both CPU and GPU. 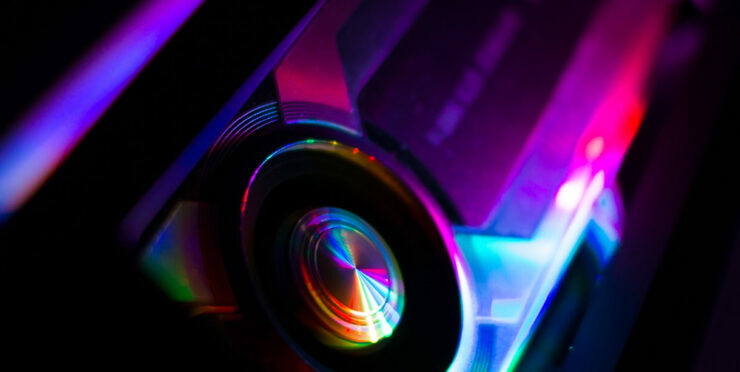 While iBuyPower recommends that its better to have AIO liquid cooler on the CPU, you can still configure some low profile coolers on the processor but the spacing will be very tight given the close proximity of the motherboard and the PSU. The one thing that this motherboard really shines at is the way it has the GPU and storage drives shown off. Both components are placed in a front facing, faceplate and can be seen through an acrylic cover that’s easy to remove. 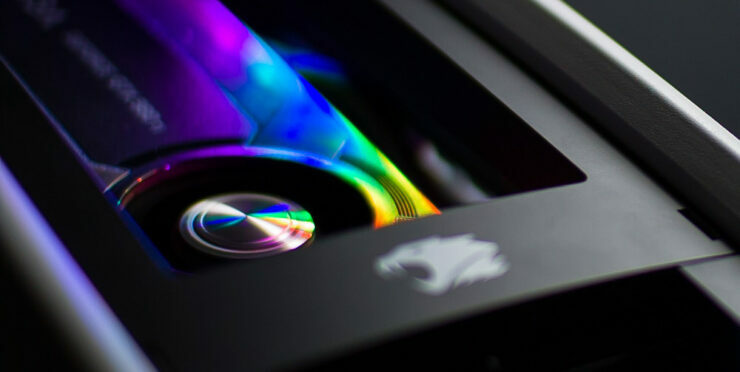 The whole GPU faceplate is engulfed when the system is operational thanks to the RGB LED system that is embedded inside this case. I’ll let the pictures do the talking to showcase this effect and it does look really good. There’s no word on pricing and availability of the Revolt 2 Gaming PC yet but the casing is said to be near the $100 US range while a standard built PC can be anywhere around $1500-$2000 US. Under this price, we are taking in consideration components that include a Skylake-K series processor, 16 GB DDR4 ram, a GTX 980 Ti graphics card and a few SSD/HDD storage drives along with a ATX-size PSU. 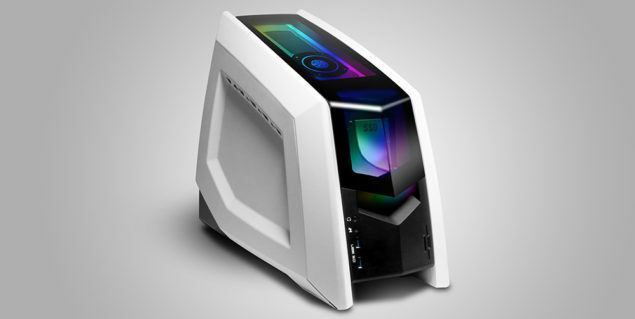 All PCs will have to come configured directly from iBuyPower although there could be a slight possibility that we might see the case being sold alone as a DIY option which would be really great for consumers.